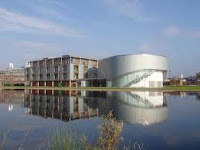 For the 2011/12 programme, the School is offering a number of scholarships for the Nottingham MBA. The School will only consider you eligible for a scholarship once you have been offered a place on the programme and have accepted your place by paying the course deposit. If you are awarded a scholarship, the Business School may ask you to become an Ambassador to support and promote the Nottingham MBA. The Business School provides several half fee scholarships for nationals from particular countries who want to student for the full-time MBA. If you are awarded a scholarship, the Business School may ask you to become an Ambassador to support and promote the Nottingham MBA. International Centre for Corporate Social Responsibility (ICCSR) Scholarships. The ICCSR will be providing scholarships and bursaries for exceptional candidates. * The JJ Salmon Scholarship. £500 bursaries may be offered to Home/EU candidates with a background in science. * The Sir John Anstey Scholarship. Several bursaries (up to £500 each) are available towards travel costs within Europe that are associated with the management project. The deadline for all scholarship applications is Friday May 27th, 2011. No decisions can be made until after the closing date. Demikianlah informasi MBA Scholarships at Nottingham University Business School kami sampaikan, semoga bermanfaat.